The Finance & Insurance industries include the personal and commercial banking, credit union, securities brokerage, and insurance brokerage sectors. These sectors operate under very strict rules and regulations which demand for operational efficiency, corporate accountability, and compliance. 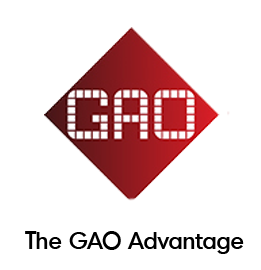 GAO RFID supports each of these sectors by providing RFID solutions that help to track assets and improve operational efficiency that result in heightened accountability. If your organization is a bank, credit union, securities brokerage, or an insurance provider, you share common challenges with the rest of your industry. Managing the inventory of files, documents, and valuable assets is the core priority for financial and insurance companies. Ensuring that these valuable documents are preserved and tracked accurately when moved is a high concern for corporate compliance and accountability. Depending on manual tracking requires a large amount of resources and risks the possibility of human error. Attaching RFID tags to documents and safe deposit boxes allows them to be tracked instantly; these files can then be accurately located using a handheld reader that does not require line of sight to read the tag information. Financial and insurance companies own expensive IT assets assigned to users that need to be tracked to prevent loss. In addition, current regulations require many banks and financial institutions to perform frequently inventory checks of their IT servers. This task is a long, manual process requiring a team of workers to conduct checks that can take days to complete. By tagging all required IT equipment with RFID tags, a single operator using a handheld device can accurately complete the task within hours to provide instant equipment inventory visibility. Financial and insurance companies are large organizations that operate with hundreds of staff within one office. Tracking personnel attendance and verifying their identity are important functions of the operation.It is a constant challenge to manage the workforce and keep track of employee time and attendance effectively. RFID badges given to every employee enables you to track time and attendance, as well as verify identity to ensure maximum labour efficiency and building security. Financial and insurance offices are large, multi-levelled facilities that have many different personnel and visitors walking through them each day. Parking garages need to also be monitored to grant proper vehicle access. It is important to be able to control who can access specific areas to ensure safety and security. Assigning RFID badges to authorized personnel allows you to grant them to access to specific zones within the building that others cannot enter. All access activity is logged for future security audits and reviews, if needed.